Telltale’s Batman series is well under way and sees Bruce Wayne in a bit of a predicament. His family name is in tatters following the release of evidence that incriminates his parents as having been involved with Falcone and Mayor Hill in criminal activities. What’s more, a group of criminals known as the Children of Arkham are on the rise, and are planning to cleanse the city of corruption once and for all. The leader of this new group doesn’t actually have a name for quite a while. It’s only at the very end of episode three that we find out they’re actually called Lady Arkham, and their identity is finally revealed. That friendly journalist who has been offering support throughout your adventure so far, Vicki Vale, is Lady Arkham. After all this time, she’s been the one plotting against you and planning your demise. 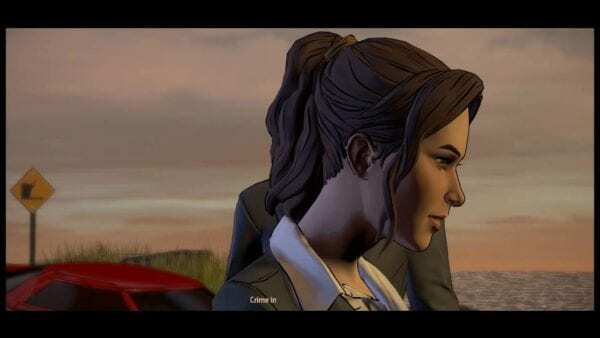 With Vicki Vale as Lady Arkham, and Oswald Cobblepot as her loyal henchman in Penguin, Batman: The Telltale series leaves you with a dwindling number of allies. Unfortunately, we’ll have to wait and see how Batman manages to get out of the predicament he was left in at the end of episode three.